The most attractive solutions for decoration and finishing, a sleeve with writing in braille, the most prestigious applications and the Rémy Martin bottle designed, in limited edition by David la Chapelle... 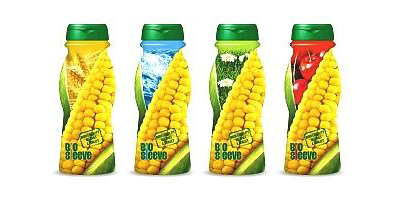 In the spotlight at the Sleever International stand are the latest creations of the French multinational (Morangis Cedex) which at the last Emballage also presented Biosleeve. Made with material developed by Cargill Dow with the Ingeo brand, this sleeve label represents an innovative solution of proven biodegradability.